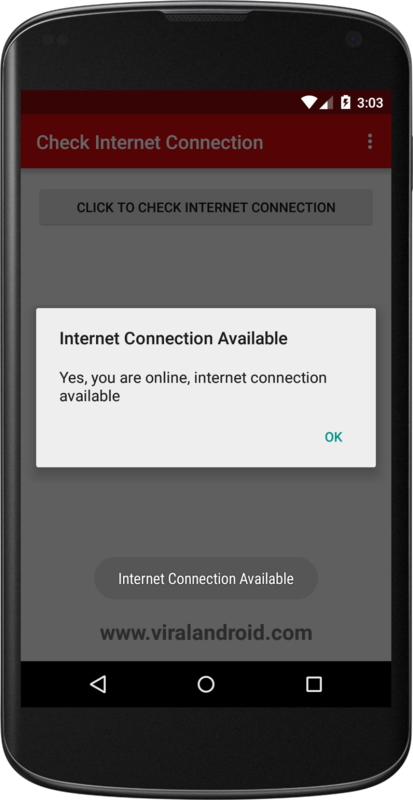 If you are making android application related to internet like news feed app, sms app, web app, etc then, it is better to check internet connectivity before doing other requests. 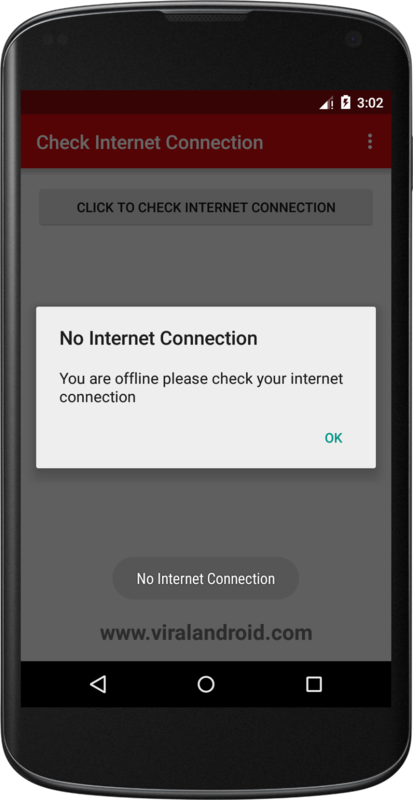 Checking internet connectivity status is easy in android. Here I will show you to check internet connection in android (wifi and mobile data). After creating new project, add INTERNET and ACCESS_NETWORK_STATE in your AndroidManifest.xml file. The final code of AndroidManifest.xml file looks like this. Now, add a button in your layout file called internet_connection.xml and add onClick attribute. Final code of xml layout looks like this. Following is the final code of MainActivity.java file. Now, run your application and click the button which looks like this.